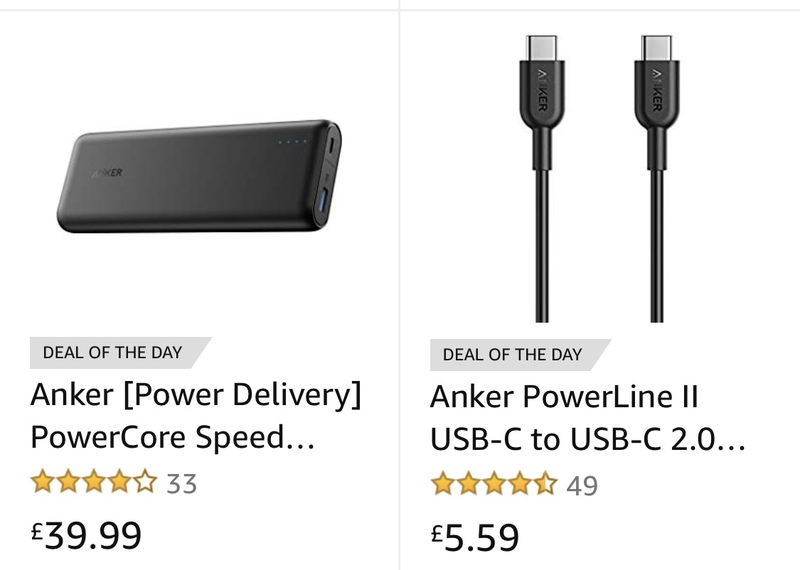 Big bunch of Amazon UK deals today. 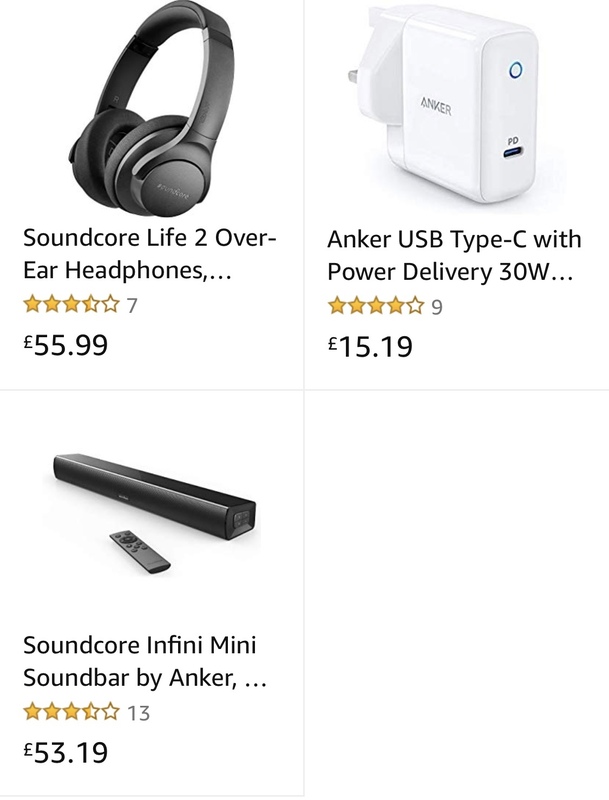 These deals are awesome. 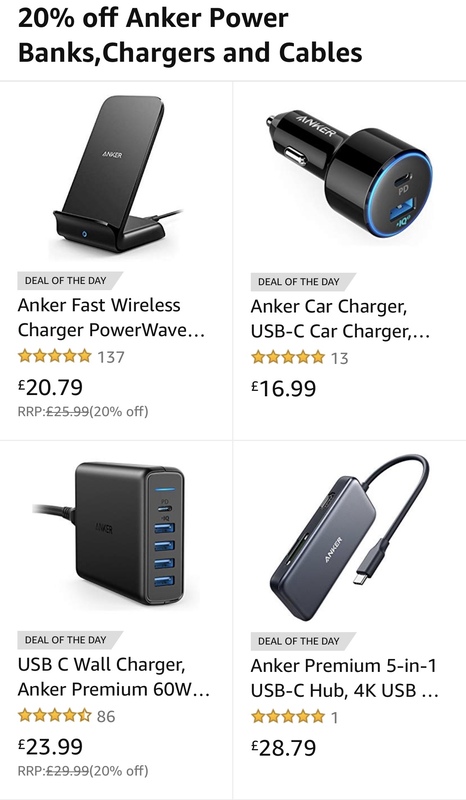 I particularly recommend the power core speed 20000, the powerwave stands, and the60w wall charger! I already have the PowerCore Speed 20000 - it’s a chunky unit, but wow does it charge quickly!!! I’ve got a non-MFI USB-C to lightning cable and the speed is amazing. 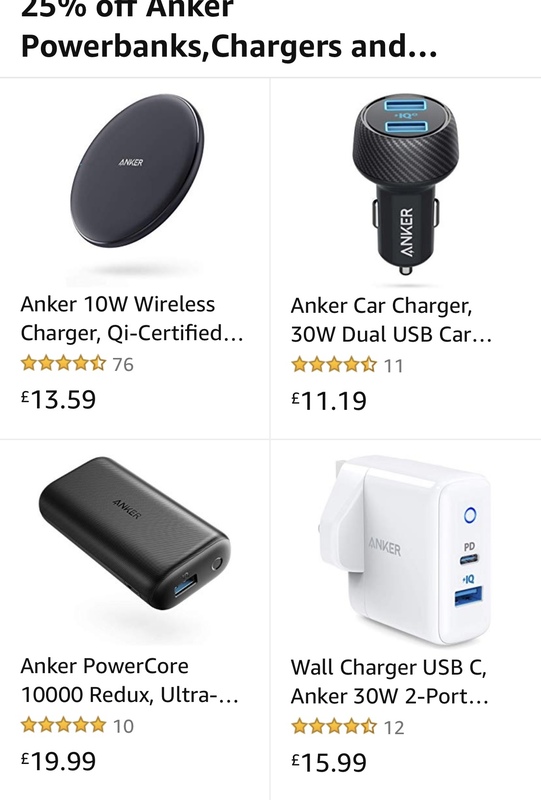 Can’t wait for the Anker one.